Matthew G. Kennedy #1 | Historic Jacksonville, Inc.
Matthew G. Kennedy was the first Jacksonville settler to record his claim to a 100-foot frontage on the north side of California Street. Around 1854, he constructed 1 or 2 wood frame buildings that housed an “assemblage of shops” known as “Kennedy’s Row.” That site now houses The Pot Rack, The Blue Door Garden Store, Farmhouse Treasures, and the historic Beekman Bank Museum. Early newspapers carry advertisements for Kennedy Tinware (a hardware store) at what is now 150 W. California (The Pot Rack). 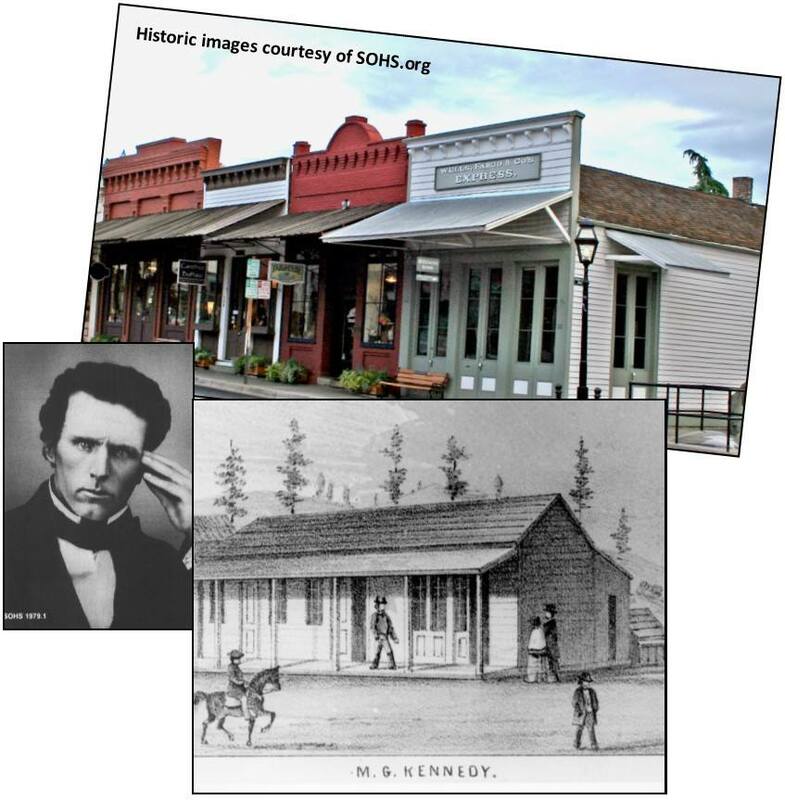 In addition to being a merchant and one of Jacksonville’s earliest settlers, Kennedy had been appointed town constable in early 1853 at the ripe old age of 23 and became the first elected Sheriff of Jackson County later that year. At the time, Jackson County also included Josephine, Curry, and Coos counties.